The wheel hubs can break and cause the brake system to fail, posing crash and injury hazards to the consumer. Cycling Sports Group at (800) 726-2453 from 9 a.m. to 6 p.m. ET Monday through Friday, emailcustserve@cyclingsportsgroup.com, or online atwww.gtbicycles.com and click on Recalls under Recalls & Safety at the bottom of the page. 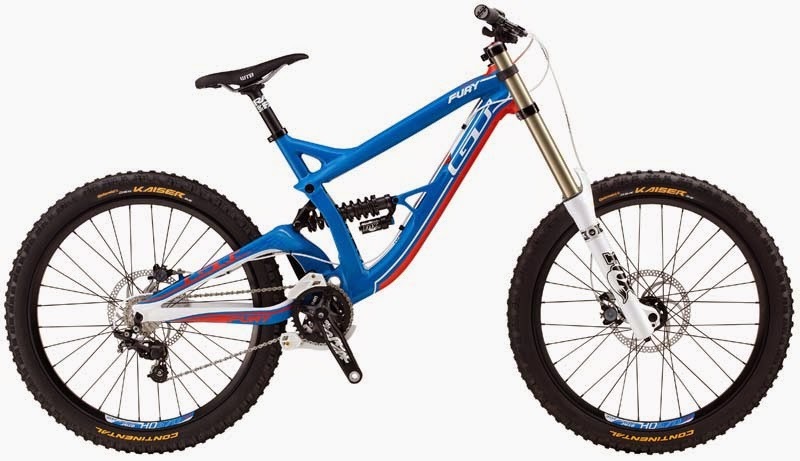 This recall involves all 2014 GT Fury Expert and 2014 GT Fury Team downhill mountain bicycles. The recalled Fury Expert model is blue with red and white accents. The recalled Fury Team model is black with lime green and blue accents. The bicycles have front and rear disc brakes, rear shock absorbers and front suspension forks. "Fury" is printed on the top tube and the bottom of the chainstay, the GT logo is on the down tube and the top of the chainstay. The model names are printed in small letters on the top tube of the bicycles just above the word Fury. Cycling Sports Group has received five reports of broken hubs. No injuries have been reported. Consumers should immediately stop using the bicycles and return them to the nearest authorized GT dealer to have the complete front and rear wheels replaced free of charge. Authorized GT dealers from February 2014 to June 2014 for between $4,300 and $6,000.